When going to Walt Disney World, one of the benefits for staying on-property is the availability of the Disney Transport services. There is some form of transportation available from every Disney Resort. 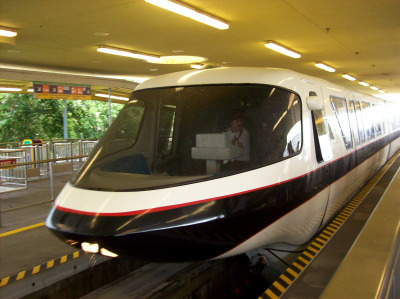 Of course, the most talked about are the Monorail Resorts. The age old debate is whether to use a Disney Bus from your resort to the park you choose to visit on a given day. I guess that depends on how comfortable you are using buses to get around in your life at home. If you are used to using public transportation, you should find Disney to be more than adequate in providing for your travel within The World. Yes, the buses are often crowded! Especially in the early morning and late nights. But, Disney is very good at moving equipment around in such a way as to provide extra service as needed. For those who don’t use public transportation, it can be quite easy to criticize the level of service being provided. The use of a car, when you are staying on-site, can also have a benefit. If you are a family with smaller guests who need extra stuff to survive the day, it may make more sense to drive to the parks. However, if you can manage, I might suggest that you still use a bus to get to The Magic Kingdom. If you park at the Transportation and Ticket Center, you will still need to take a Monorail or Ferryboat over to The Magic Kingdom entrance. 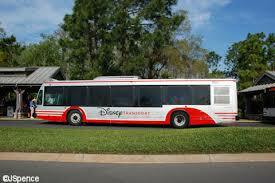 The buses take you directly to The Magic Kingdom and can save you a lot of steps. In my opinion, the ability to relax and let someone else do the driving is a big part of vacation. Next Next post: GAC to DAS, Come In DAS!